Although I’m always saying that your child doesn’t need high GPA or SAT scores to qualify for private scholarships, having a good SAT (or GMAT, etc) score is a great way to get automatic (institutional) scholarships. Earning a college education is certainly a significant achievement, and if you have a bachelor’s degree you will likely earn about $1.5 million more during your lifelong career than someone with only a high school diploma. According to new data from the Economic Policy Institute and Department of Labor statistics, a 4-year degree translates into earning 98% more money per hour, on average, than you would if you did not have that education. But to earn a college degree you first have to gain acceptance, and that means scoring high on college entrance exams such as the SAT, ACT, GRE, or GMAT. What are the best ways to prepare for those all-important exams, in order to ensure your academic success and future as a college or university student? You can buy and use test prep books, engage the services of a tutor, take online classes, or sign up for classroom instruction to help ace your test. Knowing what will work best for you depends on your specific needs and what resources are available to you. One of the key things to understand about the SAT and ACT is that you can take either one unless specifically ordered by the college to which you are applying. Students on the West and East Coasts typically take the SAT, for instance, where the ACT is usually the test given and taken in the middle of the USA. What this means is that if you want to, you can choose to take the test that matches up with your academic strengths. Most students who score high on the ACT have good memories, and are better at speed-reading and processing information rapidly. You’ll have to answer 40 questions in just 35 minutes, whereas on the SAT reading section you’ll be given more than an hour to answer 54 questions. Students who do very well on the SAT tend to have strong verbal abilities and vocabularies. The SAT has a sentence completion section and reading passages that contain some very complicated and obscure vocabulary words.If you guess but get the wrong answer on the SAT, it hurts your score. But if you guess wrong on the ACT it doesn’t affect your score in a negative way. So if you aren’t sure of an answer, be careful before guessing if you’re taking the SAT but go ahead and go for it, instead of leaving the answer blank, if you’re taking the ACT. Those differences may be subtle, but if you identify your strengths then you may want to pick your test accordingly. Then find out where that particular test is being given. If your region uses the SAT but you want to take the ACT, for example, you can go to an ACT testing center instead of taking the test near your own high school. You may have to travel to the testing site to take a test that is not commonly administered where you live, but if it helps you score higher it may be worth the effort. To find out which test to take, and to more importantly prepare yourself for the test you will take, it’s essential that you take practice tests. You can find samples of SAT and ACT exams online, and for about $25 you can purchase excellent test preparation books that include sample questions and tips on taking these tests. There are also online resources and tutorials available, both for free and for reasonable prices, such as those offered by CollegeBoard.org, Khan, Kaplin, Magoosh, Grockit, Number2.com, and ePrep. The Graduate Management Admissions Test (GMAT) is required for admission to most graduate business schools, and the test includes four main sections. There is a quantitative multiple choice section, a verbal multiple choice section, a section that tests integrated reasoning, plus a 30-minute essay question section. One of the first steps in preparing for the GMAT is to go online and download the GMAT Handbook. It is a free PDF file that explains how the test is structured and what kinds of questions are asked. There are also sample questions and other information about the test. If possible, invest in a GMAT study software program. For around $75, for instance, you can buy GMAT review guidebooks or software discs that contain review sections for both the quantitative and verbal portions of the exam as well as about 1,500 practice questions. Take practice tests more than once, reviewing your performance each time and concentrating on the sections that you had the most difficulty with as you study and rehearse. Many experts suggest that you try to rack up the highest points on the quantitative section of the test, which is one of the most critical. But as you prep for the exam, work on the parts you find the easiest, build you confidence in those areas, and then keep working on the more difficult parts of the exam until you also feel comfortable with those. When prepping for the GRE, you can download two official GRE practice tests for free. It’s a good idea to take these practice tests about once a week for six weeks prior to sitting for the actual exam. To give yourself an extra edge, simulate the conditions that you’ll be taking under. Don’t snack during the test or listen to music, for example, and once you sit down to begin don’t get up until you’re finished. That will help you train for the real-world test-taking environment. If you can find a tutor to help you, great. If not, try to recruit someone knowledgeable enough to check your answers and help you evaluate your scoring performance. The areas that cause the most difficulty should be where you focus most of your study, and anyone preparing for a GRE exam needs to also build up their knowledge of vocabulary, use of analogies, and correct sentence completions. Keep in mind that the GRE is what is known as an adaptive test. The questions adapt to your performance, so that the more correct answers you get the more difficult the next questions become. That’s important to know so that you don’t get discouraged if the questions seem to become more challenging. Just prepare as well as you can, remembering that the GRE contains three major parts – namely verbal reasoning, quantitative reasoning, and analytical writing. If you have been out of school for a long time, you should brush up on high school level math to help you with the quantitative section, and to also review your understanding of algebra and geometry. Pick up a book at the library or bookstore that covers the basics of math, algebra, and geometry, and drill yourself on high school vocabulary words using flash cards or a with a study partner. Another important tip for preparing is to read as much as you can in your spare time, and look up words you don’t understand that you encounter in fiction or nonfiction books. One of the best ways to improve your performance on the essay writing section is to sign up for a writing class. That will help you learn to write in a clear, logical fashion even when you don’t have much time to complete the essay – which is what you’ll want to do on the actual GRE exam. 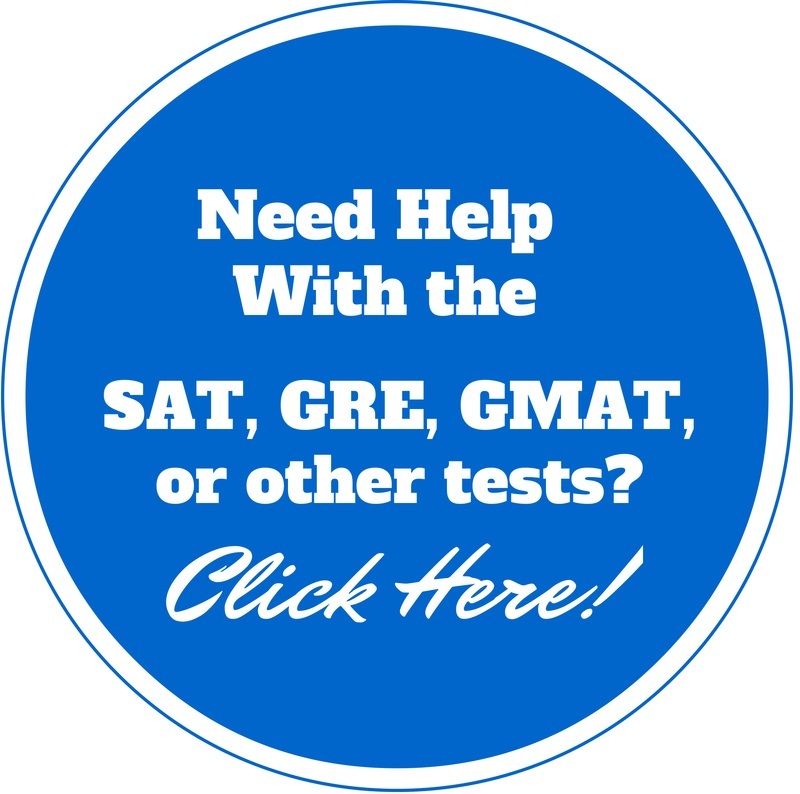 Also take advantage of free resources like those available from the Educational Testing Services website – which include sample questions and essays as well as scoring guides created by the same people who help write GRE tests. Retake your GRE test if you are not satisfied with the results. Most colleges and universities have access to several year’s worth of scores, but are usually only interested in the highest scoring text, the one where you performed the best overall. Many students for whom English is not a first language will have to sit for the exam called the Test of English as a Foreign Language, or TOEFL. The standardized test is administered at testing centers in 165 countries, and can be taken online or offline. The exam focuses on writing, reading, listening, and speaking English. A few colleges even accept the TOEFL instead of the SAT or ACT. Most experts agree that if you take the test without serious preparation it is exceedingly difficult, so virtually everyone needs to prepare and study for it. You’ll need at least several months to work on your mastery of the English language, and you should also take practice tests that are timed on the clock, since the actual test covers approximately three and a half hours and can be strenuous. One fun and helpful way to improve your grasp of English is by watching movies with subtitles and spending as much time speaking English around people who are native speakers. If possible, take a preparation class or hire a tutor to help you gain as much knowledge and practice with English as possible prior to the exam. There is no limit to how many times you can take the test, and you can wait until you get a high score before releasing your test results for colleges to view. There are study apps for virtually any standardized test that you can browse through or buy and download from the Apple iTunes app store. Some are free, and the advantage of a study app is that you can take it with you anywhere you go to study whenever you want. One of the best ways to prepare for a college admissions exam is to hire a personal tutor. Sometimes you can find college students studying for a teaching degree who offer these services, or your high school may have a list of tutors in your area. There are also online tutoring programs and test prep schools. Shop around, compare prices and programs, and pick the one that is right for you and the level of financial investment you can afford.